White supremacy is not just about the hateful actions of individuals or groups of individuals. White supremacy is first and foremost a system. A system which puts the belief that white people are superior to other races into practice. It is this system that makes white supremacy as dangerous as it is, and it kills people much more violently and with more frequency than we’ve seen this past weekend in Virginia. White supremacy is in our workplace, our school system, our government and our prisons. It is in our books and movies and television. White supremacy has been woven into the fabric of our nation from the moment that white settlers decided that their claim to land was more important than the lives of indigenous people. This is not a new problem. This is America. 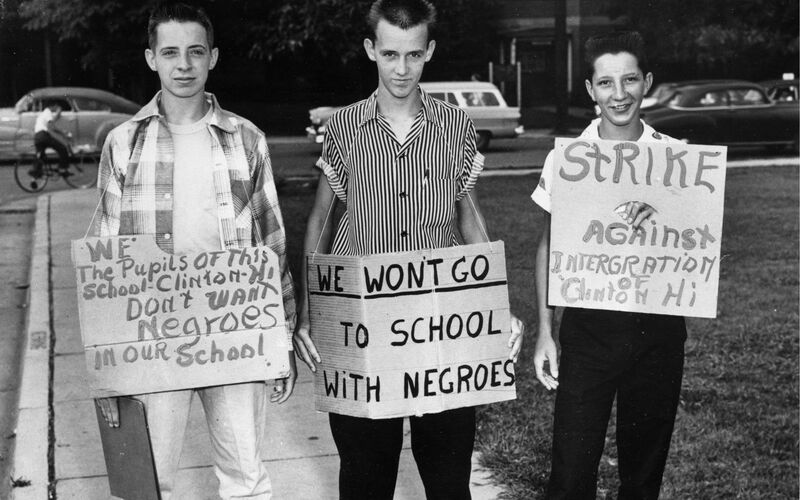 One way schools are complicit in maintaining white supremacy, that is seldom discussed outside of educational circles, is in racial, linguistic and economic segregation. As an educator, I’ve seen firsthand how “gifted”, magnet, and profit-model based (e.g. charter, private) programs track students into or out of educational opportunities. They also limit students opportunities to form relationships with children who come from different backgrounds than themselves. In my daughters’ school district, before SFUSD eliminated racially biased “honors” classes, educators regularly noted they could guess the course title solely by looking at its demographics: Black and Brown students meant “regular” classes, while White and Asian student meant “gifted”. Gifted Tracking: Even more disturbing… Not only did students in these classes get tracked into or out of quality instruction, they and their families came to internalize ideas about who is, and isn’t, intelligent. The fact that there was nary a peep about the election of a man who would say such incendiary things about Black families is telling. 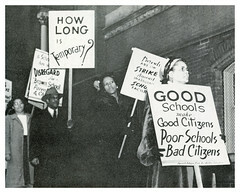 Current reports also show many Lowell educators are still struggling to have meaningful conversations about race. All this serves as evidence that white supremacy is still alive and well in San Francisco schools. And, if this is true in a decidedly progressive city such as ours, I have to wonder how bad it is in other more traditional (read: conservative) cities. the predominant pattern in racial composition, with disproportionately large percentages of white students in high-track classes and of nonwhite students in low-track classes. classroom segregation does exist in many schools that are racially balanced at the building level…and evidence suggests that magnet schools often operate racially imbalanced classes. Yet, even while educators have been discussing tracking for decades, conversations about “school choice” “merit” and “giftedness” (and now the more fashionable term “accelerated”) and the ways they maintain white supremacy are still largely absent from the general public’s awareness. And, many district officials and elected Board Members are reticent to restructure programs that directly benefit the parents who they are meant to serve. This includes not only families of white children, but also affluent immigrants and people of color, who show up at Board meetings, and at the ballot box, to ensure they maintain their privilege to more experienced teachers, smaller classes, and well-resourced schools. Gifted Tracking: All parents want the best for their children’s education, and we all believe our children are special. Unfortunately, when white and affluent parents advocate for “gifted”, magnet, charter and “choice” programs, they are also promoting the idea that some kids deserve educational access to quality education over others. 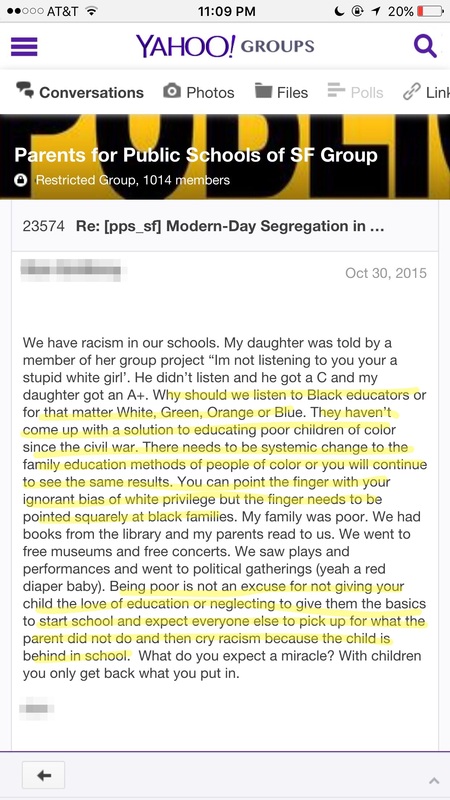 In this way, many self-proclaimed “progressive” parents, continue to reinforce white supremacy. They may post “Black Lives Matter” on FaceBook timelines, while simultaneously investing their time, money, and social capital in racially segregated schools. If you found this post informative, can you please share it? Thank you! alimcollins has contributed 359 entries to our website, so far. View entries by alimcollins. 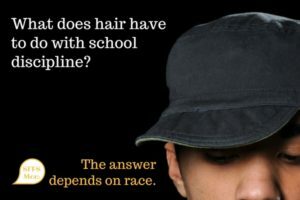 What does hair have to do with school discipline? Have you ever felt criminalized or excluded from an academic or professional setting because of your hair? Before you answer that... let's back up a bit. 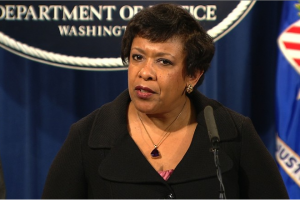 U.S. Attorney General Loretta Lynch skillfully relates two forms of discrimination: racism and discrimination against transgender people. In doing so, she sets a great example of using a familiar concept like racism to explain the ways transgender discrimination works to kids. As a former classroom teacher, I can tell you that teachers work for love of knowledge and love of our kids... and our families too! We all know teachers deserve to be paid more, and have more classroom resources and support. The least we can do is show our appreciation for all they do for our kids. 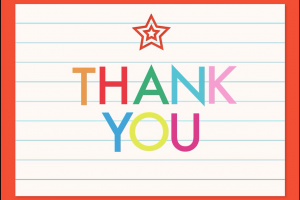 Here are 7 ideas for making Teacher Appreciate Week a big hit for your school's teachers. Your email is safe with me, I do not sell or spam your inbox. How much do charters REALLY cost? Let’s Give Something REALLY Important to Educators this Year – A Raise! 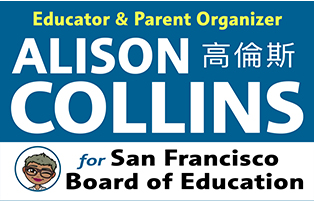 Welcome to San Francisco Public School Mom! 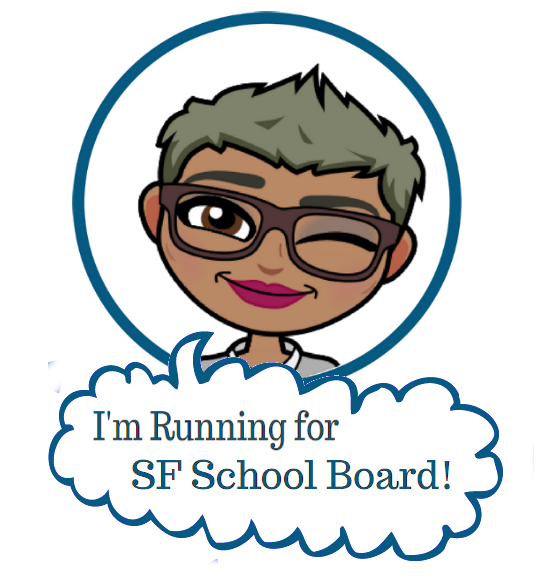 This blog is for parents and educators to share information, about how to support our children in Bay Area Public Schools. Let’s move “beyond the bake sale”, to support the academic success of all children. By becoming informed and asking questions we can create public schools of the highest quality — I encourage you to join in on the conversation!